When you head to the store to load up on supplies for tailgating this weekend, you will probably find some of your party necessities cost more than last year. The bad news for Louisiana football fans is that “specific goods” includes alcohol and tobacco products, both of which are now taxed higher than they were last football season. 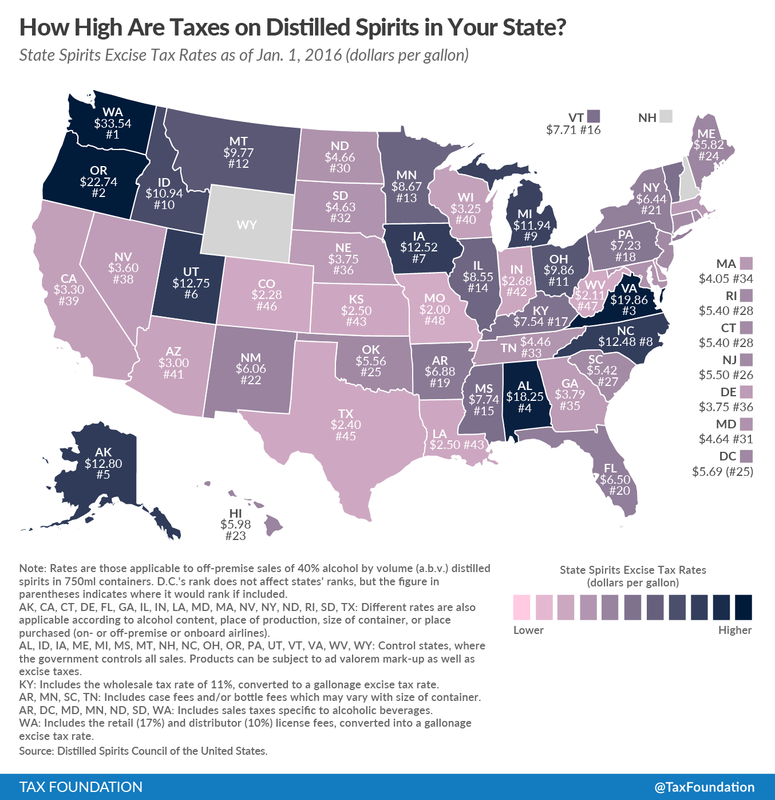 Now, Louisiana’s rate is $0.40 per gallon, according the Distilled Spirits Council of the United States (DISCUS), which ranks 16th highest in the country. In addition to hiking up the beer tax, Act 13 also targeted wine. Still wine “of an alcoholic content of not more than fourteen percent by volume” went from $0.03 to $0.20 per liter. According to DISCUS, Louisiana’s wine tax is now 28th highest in the nation, amounting to $0.76 per gallon. Additionally, Act 13 raised rates on wines of higher alcoholic contents, including that “of an alcoholic content of more than fourteen percent by volume but not more than twenty-four percent by volume,” which went up from $0.06 to $0.35 per liter and that “of an alcoholic content of more than twenty-four percent by volume,” which increased from $0.42 to $0.55 per liter. Even the sparkling wine received a tax hit from Act 13, undergoing a rate increase of $0.42 per liter to $0.55 per liter. Act 13 did not stop at beer and wine, it hit the hard stuff too. Act 13 increased Louisiana’s liquor tax from $0.66 per liter to $0.80 cents per liter. DISCUS reports that this new rate, which amounts to $3.03 per gallon, is 28th highest in the nation. Louisiana’s cigarette tax was $0.86 per 20-pack as of January 1, 2016, according to Tax Foundation, which ranked 35th highest in the nation. Then in March, not even 12 months after a cigarette tax increase in 2015, the legislature approved HB 14, which was signed into law as Act 4. This Act added an additional $0.22 cent tax per 20-pack. Now, Louisiana’s cigarette tax rate is $1.08 per 20-pack. And do not think you can avoid the tobacco tax by switching to an e-cig. While most states do not tax e-cig and vapor products, Louisiana is among the four that do. That’s right – even though these products have been found to have much fewer harmful chemicals than traditional cigarettes and have been described as an alternative that is safer for public health, in 2015, Louisiana implemented a tax of $0.05 per milliliter. These tax increases were implemented as an attempt to help address the state’s struggle with recurring deficits. However, tax hikes of any kind – especially taxes that target specific industries and consumers – are not an ideal solution. 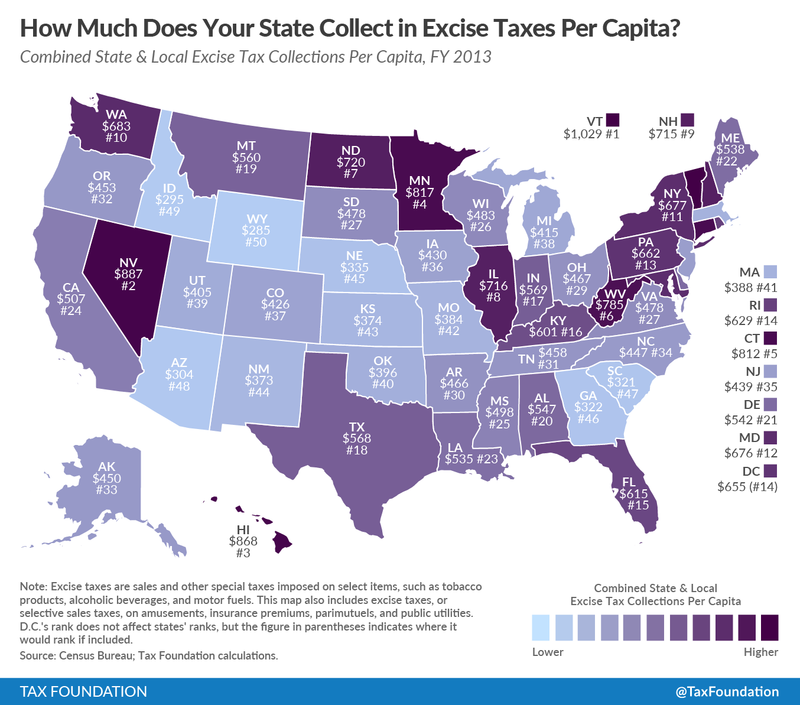 Prior to the enactment of Acts 4 and 13, Louisiana’s excise collection per person was already higher than most of the country and higher than many neighboring states. Rather than continuing down this road, or raising taxes of any kind, lawmakers should consider closing budget deficits with spending reductions. Indeed, demographer Elliott Stonecipher has demonstrated that total state spending increased 80 percent from 1986 to 2015 – which was over and above a 113 percent inflation adjustment – while population increased only 5.51 percent. Clearly, Louisiana’s financial problems require more than quick fixes. A comprehensive budget overhaul that boosts the economy and helps all Louisianans is long overdue.